Man behind the shark(s): Karim Giordimaina tries to integrate at least one of the predators into each Opel model’s interior. Here it began: The first Opel shark can be found when the Corsa glove box is opened. 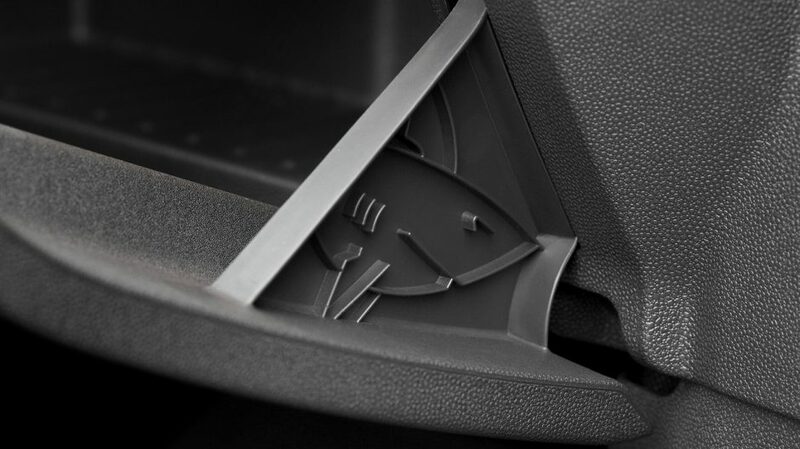 On the prey: The designers have hidden multiple shark and small fish in the Opel Corsa's centre console. Same hiding place: The shark in the Opel Astra is also located inside the glove box. 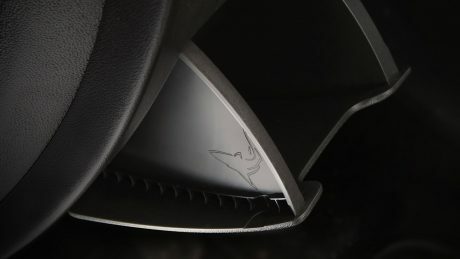 Flagship with sea hunter: A shark has also smuggled its way into the Opel Insignia’s cup holder. Comfortable place: As in Corsa and Astra, the Opel Crossland X shark can be found when the glove box is opened. 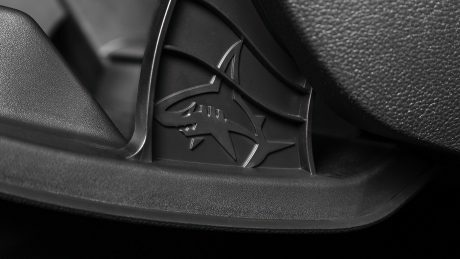 Hide and seek: Under the lighting control in the Opel Grandland X, another shark resides at the outer side of a storage compartment. 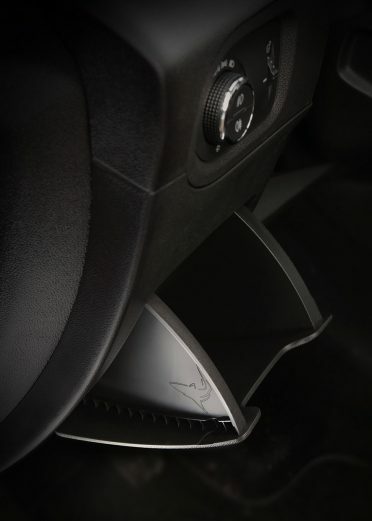 Careful: A shark is lurking in the centre console of the Opel ADAM. 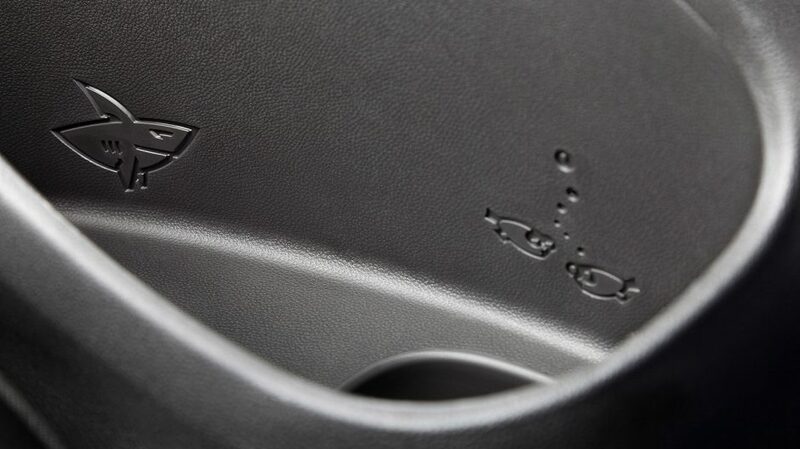 Natural habitat: Some more sharks are lurking where Opel ADAM occupants normally store their water bottles. 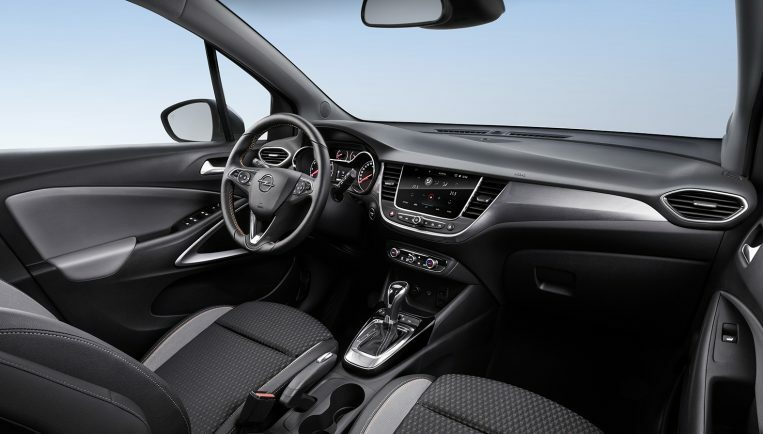 on the Opel’s interior design and takes a look into the future. 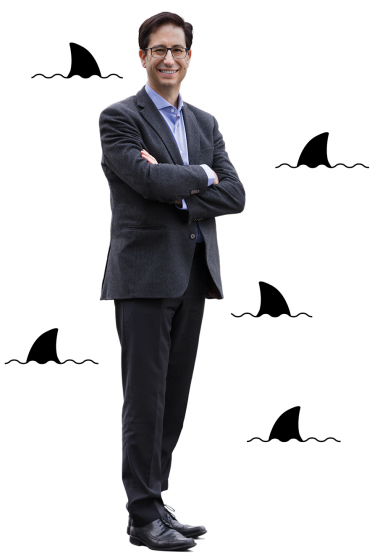 Surrounded by sharks: Opel’s fun secret culture that Karim Giordimaina takes very seriously. 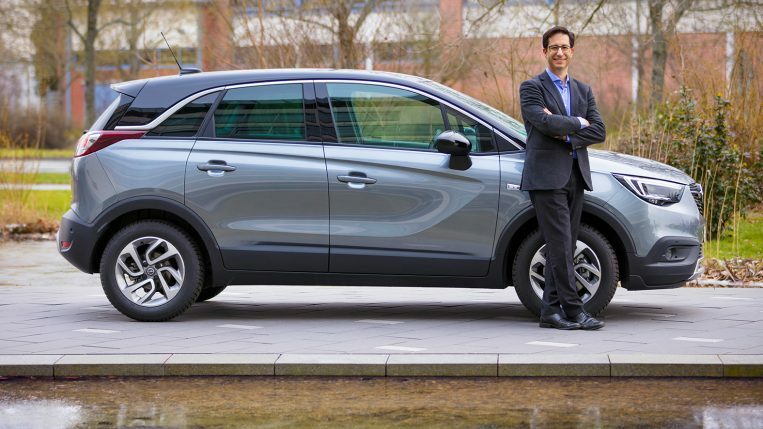 Karim Giordimaina knows the Opel design as well as hardly anyone else. Ever since graduating from college in the early 90s, he has been working for the Rüsselsheim-based carmaker. His early days saw him working on every aspect of the cars, including show cars, exteriors, interiors, and components. He later switched to the interior, after Opel eventually set up dedicated functions. Today, as Director Interior Design, Giordimaina leads more than 80 colleagues and is – amongst others – responsible for some of the unusual creatures hidden in Opel models. 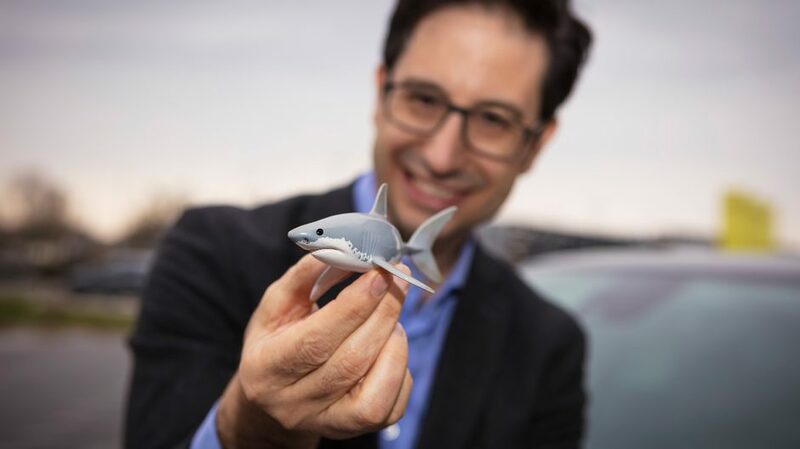 Mr. Giordimaina, for several years we can find sharks in the Opel models. What’s the reason for this? The history of our hidden sharks goes all the way back to 2004. 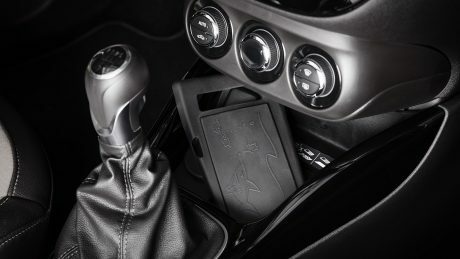 Dietmar Finger, who at the time was the Interior Assistant Chief Designer of the Corsa Studio, was tasked with designing reinforcing ribs on the side of the glove box door to ensure the part’s stability. After a busy work week, one Sunday afternoon, he casually drew various shapes that might fit the purpose. As he sat there, his son walked up to him, looked at his sketch, and asked. 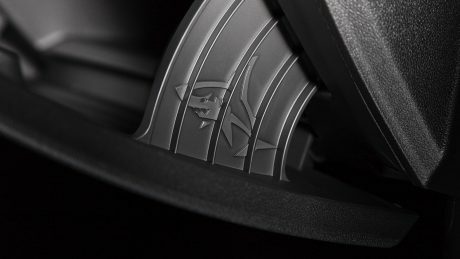 “Papa, why don’t you just draw a shark?” Dietmar smiled, and thought to himself “Why not!” As soon as he was back in the Studio, he shared his idea with Niels Loeb, the Chief Designer of the Corsa, who immediately loved it. The shark in the glove box went into series production and that’s how the story of the ‘Opel sharks’ was born! How did this success story continue? Today it’s almost like an inside culture. Each Interior Chief Designer, towards the end of the development of the car, lives the culture by hiding one or two sharks somewhere within the design of the interior. Where the shark is placed is entirely the Chief’s choice, and is never shared with Design’s Leadership. 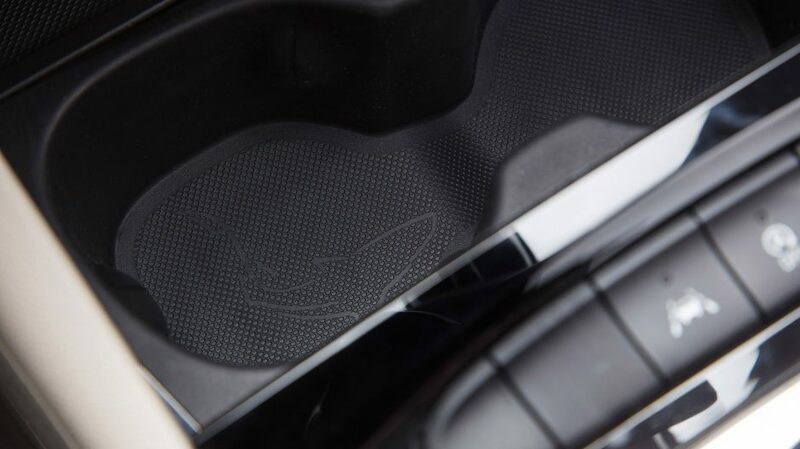 In fact, the location of the sharks is generally kept a secret all the way to the launch of the car. 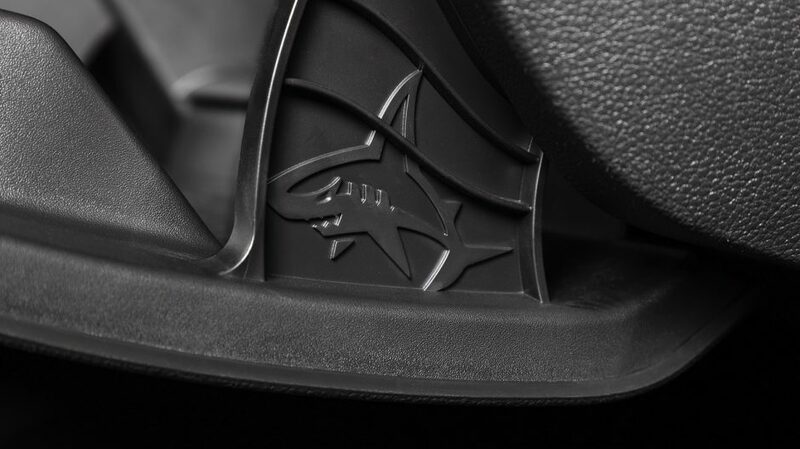 As a way of demonstrating the approachable side of our brand, we also started sharing the stories of our sharks with journalists during launch events, encouraging them to find the sharks hidden in the interior of the cars. Overtime, we actually started being approached by the press, who were eager to write stories about the sharks! What’s so special about this culture? It clearly shows not only how approachable our brand is, but more importantly that we also we have a sense of humour. There is definitely a strong sense of family in our team which is, in my view, well recognized across the industry. Opel is definitely a fantastic place to work! I’ve personally been here many years, and am always very proud of our culture, sense of team, and connection. There’s the shark: Director Interior Design Karim Giordimaina reveals, where the small predator hides in the Opel Crossland X. Careful: A shark is lurking in the center console of the Opel ADAM. As we look at an Opel, we firstly see the exterior design and all its typical features. 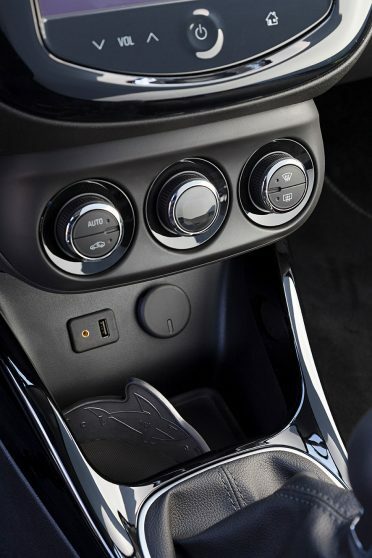 What are the recognizable things about the Opel’s interior design? With the exterior design you see a lot of consistency in the way that we apply our signature graphics, sculptural surfacing, and an execution level founded in german precision. 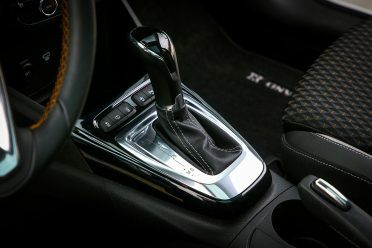 On the interior of the car you see again that same combination. Subtle sculptural shapes, combined with an almost obsessive pursuit for precision, passion for every detail, uncompromized functionality, and quality. At Opel there are three Design teams. How close is the cooperation with the Exterior Design and the Advanced Design? Extremely close! Although we clearly cover different areas of our cars and business, we always connect as one team. In fact the close collaboration of the Advanced, Interior, and Exterior Teams is absolutely key to a great outcome. There is a very strong link between the strategies and architectural decisions being made within Advanced Design, and the final production of our cars executed by the Interior and Exterior production Studios. How are decisions usually made between the teams? In order to strengthen this tight collaboration, our weekly Design reviews with Mark Adams are always conducted with the entire Design Leadership Team present, irrespective of topic. This includes all the Directors of their respective areas: Advanced, Interior, Exterior, and even Operations. This ensures that each decision is made holistically, taking all aspects of our cars and business into careful consideration. Our cross functional interaction is very close, considered, and collaborative. Mastermind: Karim Giordimaina, Director Interior Design, knows every secret of the Opel design. Do you also compare your designs with those of other carmakers? Of course. We put considerable effort benchmarking ourselves against our competitors to ensure that our vehicles stand tall across an extremely competitive field. In addition to the huge focus we put into the actual design of our cars, we also put equal focus with our partners on balancing high-quality materials, features, technologies, and the engineering solutions that go in our cars. The goal is of course to ensure that our vehicles consistently deliver on our brand values. By doing so, we will help ensure that we push the brand to where it deserves to be – standing tall at the head of the pack. There is so much passion and drive in the Opel team, across all functions, that I am more than confident we will do just that! How do you ensure this high-quality standard? By applying care, and a lot of effort, in everything we do. We put an enormous amount of thought in every aspect of quality that defines our vehicles. Each material, grain and texture is carefully considered, each gap and radius is scrutinized, and every interface is worked in its outmost detail. Our interiors have to communicate not only artistry, but precision, and the highest level of visual quality. That is definitely our passion. “Sculptural surfaces, german precision, and passion for every detail” are clearly reflected in the Crossland X interior. 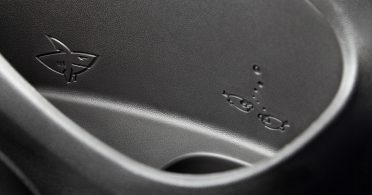 Perfect fit and finish: The gear knob and its surrounding center console express quality and precision. Are you also conducting surveys to find out the customer’s opinions? Sure. Market research is extremely important, giving us early access to our customers and helping us understand if we are moving in the right direction. That’s precisely why we do the clinics throughout the various milestones in a vehicle’s development. We invite a cross section of respondents to market research events and ask a variety of targeted questions relative to the product. The response we get helps shed light on the various aspects of a product’s personality. How appealing the design is, willingness to pay, positioning, manufacturer, things they love and things they don’t. In most cases our designs are validated, and in the cases where we need to react to criticism, we do exactly that – we react and correct! It’s typically long (laughs) … My day is usually full of meetings. It’s particularly exciting in this time of transition, as we’re focusing hard on strategy and strengthening our brand. There’s a sense of urgency and change which is energizing. I definitely carve out time to go into the studios and interface with the team. The talent of the creative teams, sculptors, studio engineers, Program Managers, and Quality team is a constant inspiration for me. My job is to provide guidance, but perhaps more importantly, to help enable the Studios led by the Chief Designers, to create cars that are true to their expressions and visions. That is a wonderful thing to experience. Do you sometimes also take a pencil and draw a sketch by yourself? No, although I definitely love drawing. I want the creative designers to draw, they are the ones who bring fresh and new ideas. They have to create these cars and we have to enable their ideas. My job is to help set the framework based on a very clear view of our brand values and strategies, an area that has seen huge focus since joining the PSA family, and then help the team move in that direction. Looking into the future – how will Opel’s interior design change? We’re going to build on our strengths. The artistry will remain, of course, but we’re going to express it in a slightly different way. 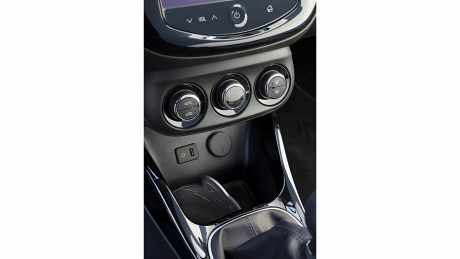 The interior will be a lot easier to use and even more approachable. We’re going to enhance every aspect of our users’ experience, from the way they feel sitting in the car to the way they interact with it. We have some very exciting ideas that will take our cars to a different level. I’m personally very energized, as are our development partners. It’s like a journey. When we’re done, we will have fundamentally enhanced almost every aspect of our cars. At the core of all of that, will be a razor sharp focus on quality. That will be key to expressing a very powerful German brand. And finally, we will ensure that Opel stands distinct and proud as a brand within the Groupe PSA, and particularly amongst our competitors. As you can see, we are definitely going to make a lot happen! Finally, will you bring sharks in the upcoming Opel models? 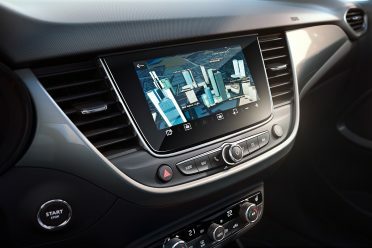 Clear layout: Infotainment screen and instruments are arranged to enable easy functionality in the center of the Crossland X dashboard. 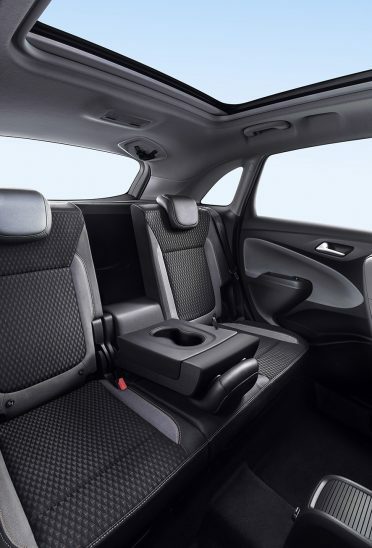 Spacious and airy: The Crossland X’s backseats are for long journeys – but also have great visual appeal.